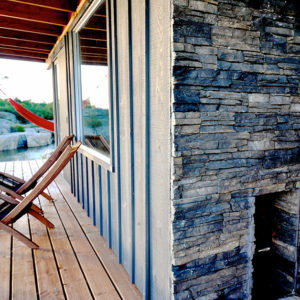 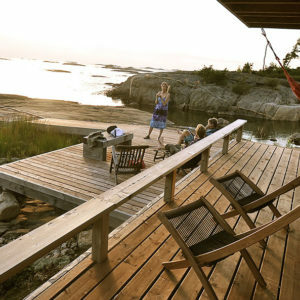 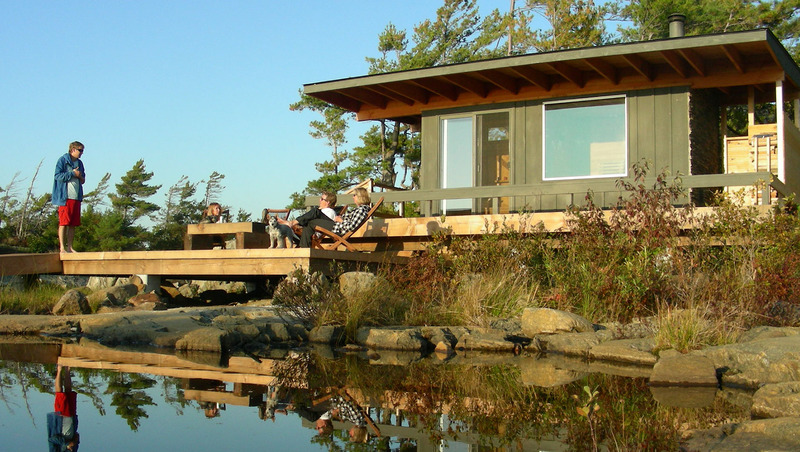 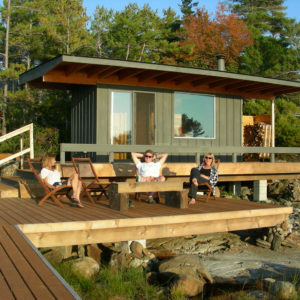 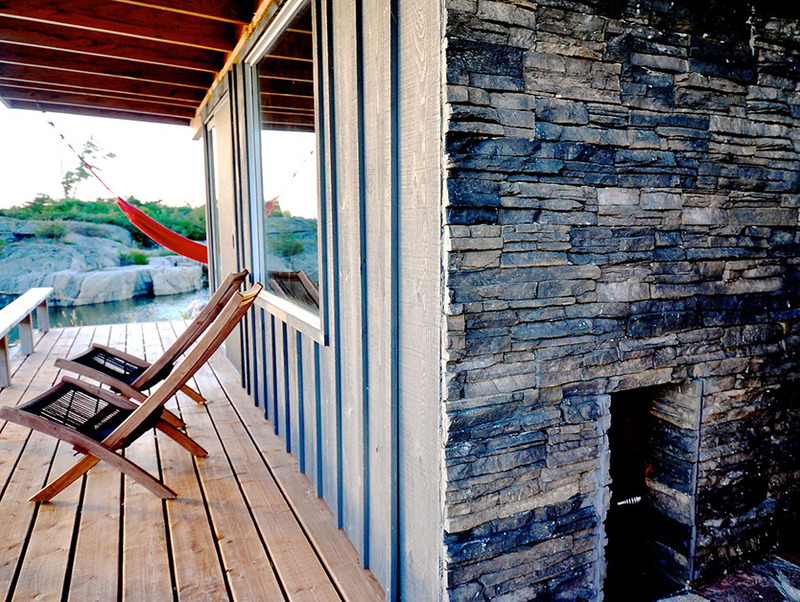 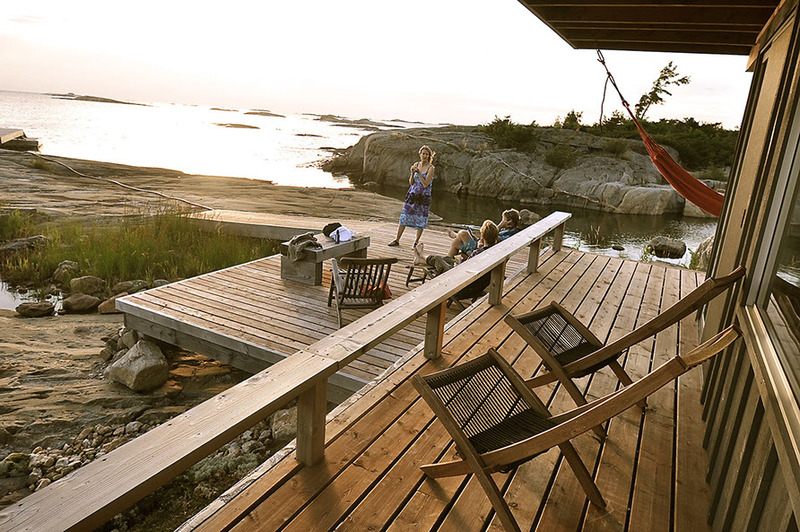 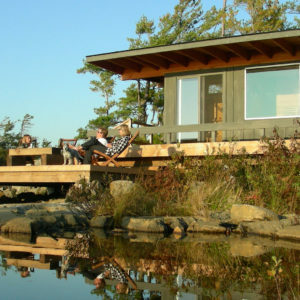 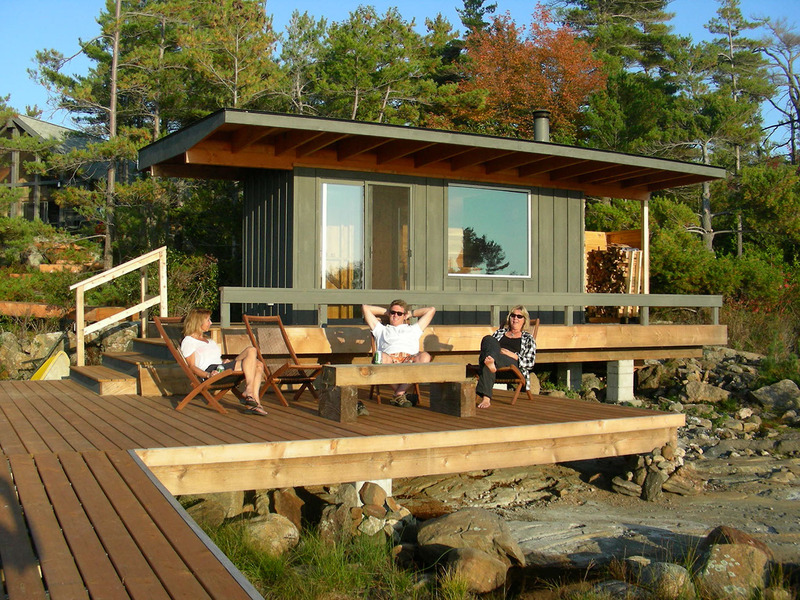 A modern custom designed sauna is nestled against the rocky Georgian Bay shoreline of this Go Home Bay cottage. 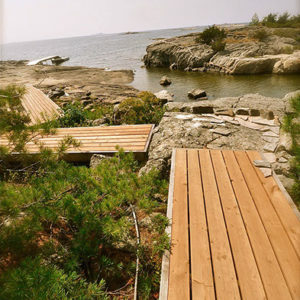 One design challenge was how to navigate your way down to the shoreline in a pleasing aesthetic and functional way. 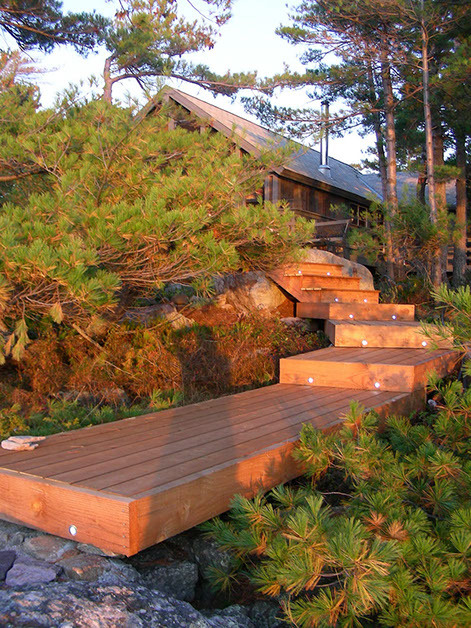 The solution to the challenge of building a pathway over undulating bedrock was to essentially prefabricate “gangways” that could overlap one another sitting directly on the sloping ground – ending with the last pod abutting vertical rock face so that the first step down to the water’s edge is stepping off the rock to the first tread. 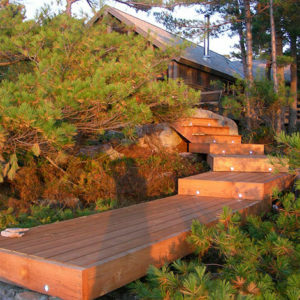 Flush mounted LED lights on the step risers make for a bright ambiance at night. 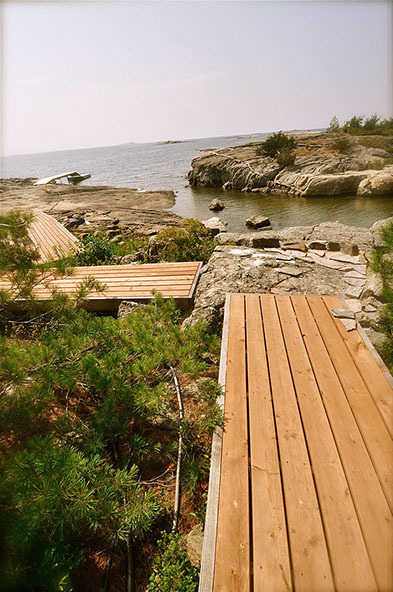 The positioning and height of the sauna was tricky as the goal was to have it “hug” the profile of the irregular rock face next to a cluster of trees that would screen the backside of the structure from the main cottage. 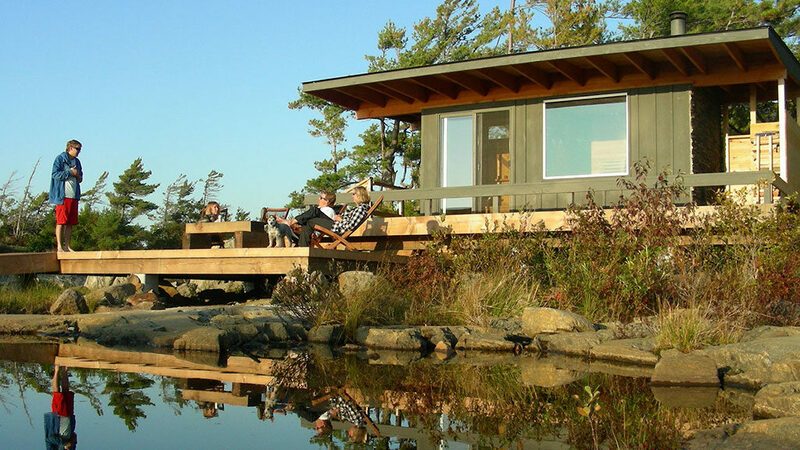 Getting the design down on paper required mapping out the tree locations and specific rock outcroppings – not an easy task!